Homes that are equipped with patios doors need to ensure that they take the proper steps to protect their property from easy entry. The installation of some additional hardware to insure that sliding doors are able to be locked properly to reduce easy access typically assocaited with sliding door entrances. We have a comprehensive selection of various different sliding door locks that are designed to reduce forced entry and provide your home and family with the right protection of every style of sliding door. 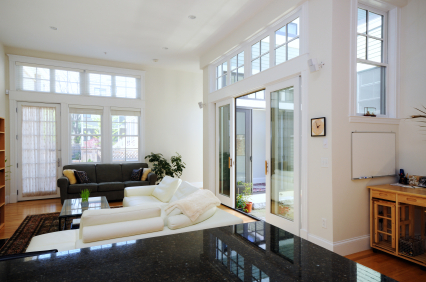 Most homeowners are truly unaware that the back sliding door is often the weakest point of entry in your home that can usually be defeated in seconds. Your sliding door can easily be lifted off the track and allow a burglar to gain entry into your home usually with minimal effort. The only sure way of protecting your home is to install the right sliding door lock solution that will discourage a burglar from coming into your home and protect you from thieves that might want to break into your home. Let us review all your exterior doors and determine the best locking solution that will work for your existing sliding door. Finding the right lock for your patio door will help give you the protection that your are looking for. Although we recommend the installation of a better sliding door lock, you might want to make sure that all your exterior door locks are actually locked when you need them to be. You would be truly be shocked how many people don't even know that the sliding door is not locked at all. It is also important to protect your doors can't be popped out of place. A good thief will be able to dislodge your door and simple lift it out of place and gain access to your home with little or no damage of entry. For this reason you will need to make sure that you door has proper rollers and is braced into the right position. This will ensure that someone isn’t able to simply lift out your door. The best place to find a new sliding door lock is at Pre-Lock Security Services. There are a variety of different products that are available at our showroom all made to provide a Better Lock Next Time security solution.